If you are an aspiring gardener, but feel intimidated by the amount of care some plants require, here is a list of ten beautiful flowering plants that are surprisingly easy to keep. Pineapple lilies are tropical plants from the genus Eucomis, which includes several species. Their most noticeable characteristic is their flowerhead, which resembles a pineapple. Pineapple lilies are native to South Africa, but can be grow in a variety of environments; provided they are protected from extreme cold and they are kept moist. Another positive characteristic about pineapple lilies is that they are pest-resistant. 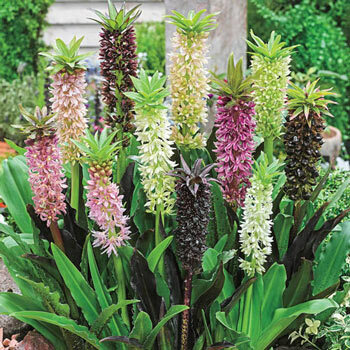 Hedychiums are hardy tropical plants that produce beautiful and fragrant flowers. 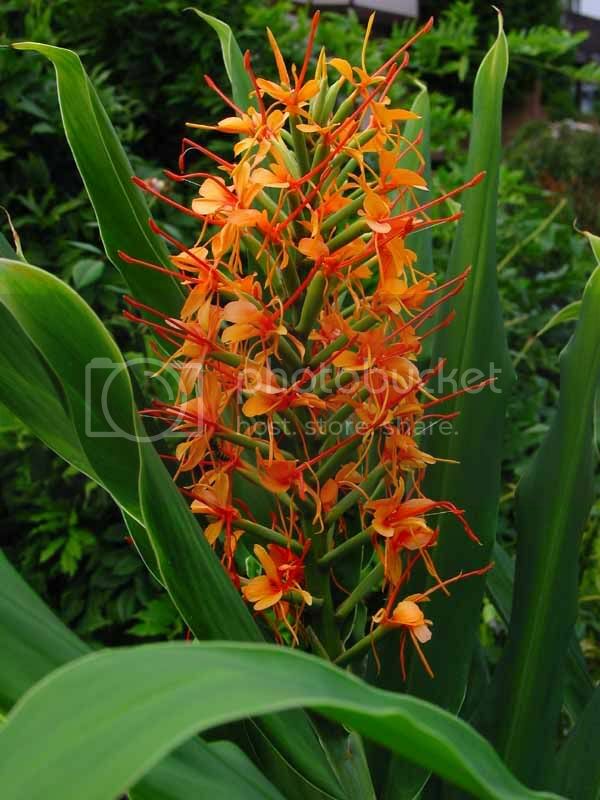 They are also known as ginger lilies, and are native to Asia. Hedychiums can grow well, and fast, in temperate climates. They need daily watering in the summer, and a rich soil. They grow best in full or partial sunlight. In the winter, it is important to protect the bulbs from frost. They will stay dormant and wake up again in the spring. African violets produce bunches of flowers, which can be purple, light blue, violet or white. They are native to the warm and humid environment of East Africa. However, they are very adaptable and have become very popular house plants. They are also easy to propagate, and can even be grown from pieces of leaves. 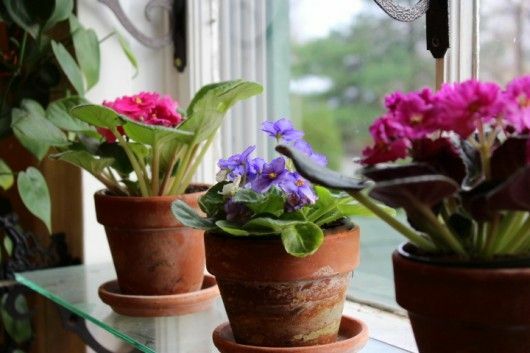 When keeping African violets, it’s important to protect them from sudden cold, and to avoid overwatering. Orchids are beautiful and exotic-looking plants that are very popular with hobbyists. They belong to the family Orchidaceae, a very large group of flowering plants comprising 28,000 species. Although most are tropical plants, there are orchid species all over the world. Moth orchids and Dendrobium orchids are two types often recommended for beginners. 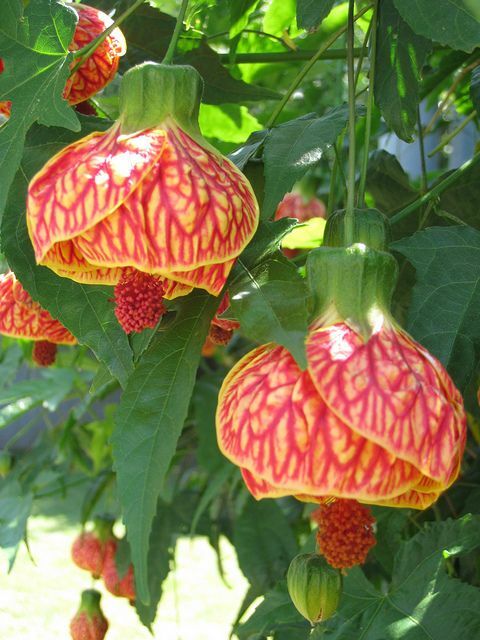 Flowering maples produce very pretty flowers shaped like bells. 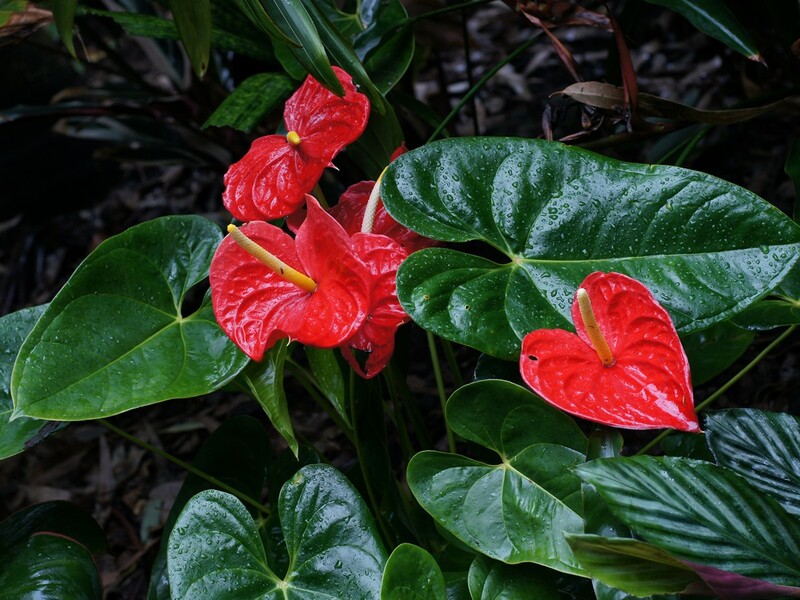 They grow in tropical zones, but are hardy enough to be kept outside in many US states, or as indoor house plans if the temperature is too low. Flowers can be white, orange, red, pink or yellow. Begonias are a group of plants that includes many species, several of which are appropriate for beginner hobbyists. Flowers can be yellow, orange, pink, white, and sometimes combinations of these. They do well when grown outside for the summer, but should be brought inside before the first frost. Cane-stemmed begonias are especially suited for gardeners with less experience. Cannas, or canna lilies, belong to the genus Canna, and are native to tropical and subtropical habitats. They have adapted to thrive in a variety of climates, as long as they are kept moist and receive adequate sunlight. In places where winters are very harsh, canna lilies should be brought indoors. These plants produce bold and colorful flowers and beautiful foliage as well. Bromeliads are another type of tropical flowering plants that make good indoor house plants. They can also be kept outdoors, provided they are brought inside before frost. Aechmea fasciata, which produces a striking bright pink flower, and Aechmea chantinii, with red and orange flowers, are two species recommended for beginners. Peace lilies, of the genus Spathiphyllum, produce abundant green foliage and flowers in a spade-like projection called a spadix. The spadix is surrounded by a sheath which is often white but can have green or yellow tones. Peace lilies are easy to keep indoors. Since they are tropical plants, it is important to protect them from the cold. Anthuriums also produce their flowers in a spadix. The color of the waxy sheath that surrounds the spadix can vary from green to bright red, orange, and purple among other colors. Filtered sunlight, warm temperature and regular watering with good drainage are important things to keep in mind when growing anthuriums.